For any kingdom to flourish, it needs stability. Unfortunately in the decade following the death of Timmaraja Wodeyar II in 1572, Mysore saw two more monarchs come and go. Thus, when Raja Wodeyar I ascended to the throne, he had a tough task ahead of him. During his reign of 39 years, the Kingdom of Mysore grew in terms of size and cultural richness. Raja Wodeyar I was born on June 2nd, 1552 as the eldest son of Mysore’s 7th King, Chamaraja Wodeyar IV. Not much is known of his early life except that he was trained in arms and studied the sciences. He is also referred to as ‘Raja-Nripa’, ‘Rajendra’ and ‘Raja Mahipati.’ He became the King of Mysore at the age of 26 years. As a king, he followed in his father’s footsteps with regard to expelling Vijayanagara envoys and ambassadors but continued to recognize the Vijayanagara Empire and Emperor. 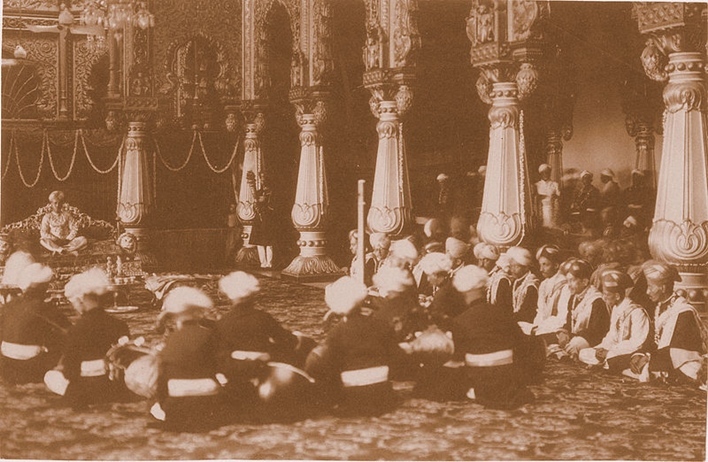 Within a year of becoming the Mysore Maharaja, he began plans for the expansion of Mysore. By the end of 1578, Akki-hebbalu had been acquired from Narasimha Nayaka of Hole-Narasipur. In 1585, the Mysore fort walls were raised and the Seringapatam (Srirangapatna) tax collectors were expelled. In 1586, Rangasamudra and the adjoining villages also became part of Mysore. 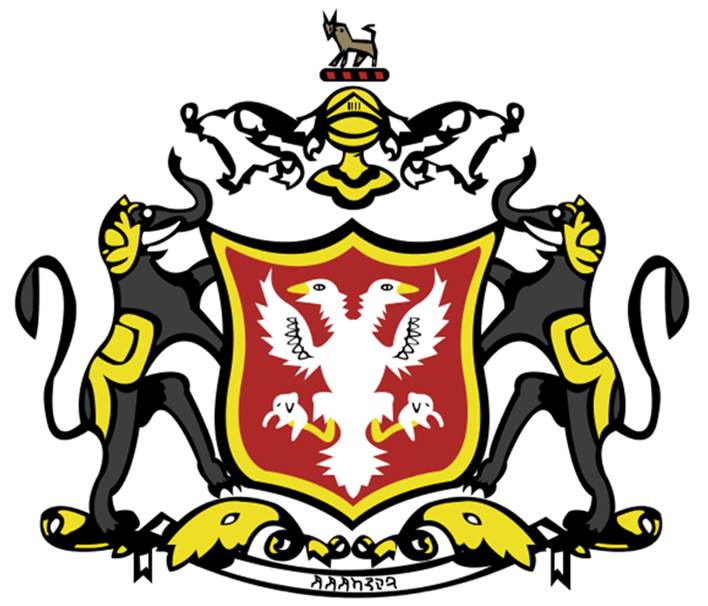 In 1590 and 1591, the Kingdom of Mysore grew to include Kembal and Mullur respectively. The next year, a fort was built at Rangasamudra. In 1593 and 1594 he acquired Harohalli and Narunelli. In 1597, Hariharapura became part of the Mysore Kingdom. The expansion continued and by 1610, Arakere, Sosale, Bannur and Kannambadi also became part of the Mysore kingdom. At this time Seringapatam had been under the direct rule of the Vijayanagara Empire. The acquisition of Seringapatam in 1610 was one of Raja Wodeyar’s most important conquests. Though the Vijayanagara Empire had acknowledged Mysore’s independence for a few years, it was only after this conquest that Mysore’s independence was asserted. Seringapatam henceforth became the capital of Mysore. Raja Wodeyar was believed to be at the height of his power in 1617. By this time the Kingdom of Mysore extended from Terakanambi and Ummattur in the south to Seringapatam in the north and Bannur in the east to Mavattur in the west. Mysore’s tradition of celebrating Dasara with pomp and show dates back to the 15th century. This 10-day festival starts with Navaratri and ends on Vijayadashami. In 1610 Raja Wodeyar began the tradition of taking a procession from the Mysore Palace to the Banni tree to offer prayers. This tree was considered sacred as it was believed to have been used by the Pandavas to hide their weapons while they were in exile. This procession takes place even today on Vijayadashami to mark the end of the Dasara celebrations.